Mint Smartwash Gives You More Shine in Less Time. Our advanced Smartwash options feature environmentally-friendly technology and an extra long drying bay — giving your vehicle a superior wash without the annoying lines of your average gas station car wash. Most of the time, you’ll be in and out within 5 minutes. Tired of worrying about the weather? Forget about the weather. Sign up for Club Mint, and enjoy unlimited car washes for a low monthly rate. At Mint Smartwash, we are committed to our community and that is why we believe in a green clean that is safe for the environment. We reclaim the water used in our washes and safely dispose of contaminants we collect. Our soaps are certified biodegradable, and we use the latest technology to closely monitor our water usage to ensure you receive an effective but efficient wash, minimizing waste. We abide by federal and state government regulations concerning the environment and are subject to periodic visits from various officials who inspect our facility. 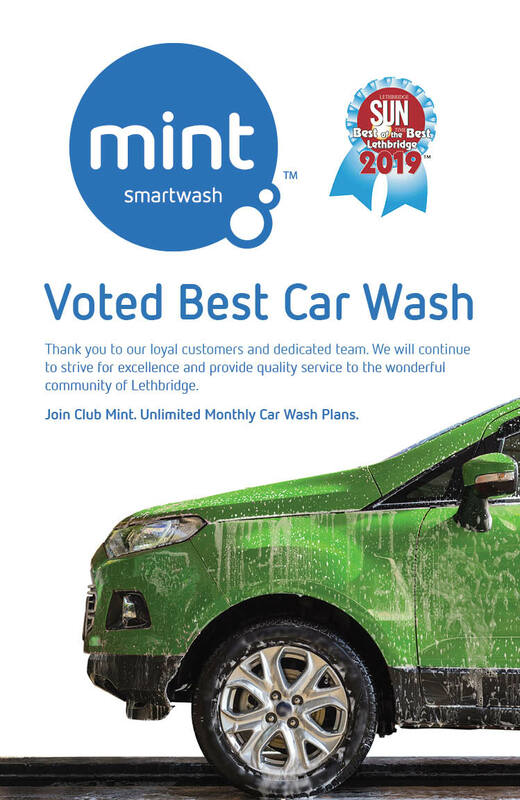 In fact, modern car washes like Mint Smartwash are the most environmentally friendly way to wash your car, thanks to these regulations and the processes we have in place to safely discard contaminants that could otherwise end up in our water supply. From dust and grit, the sun’s rays, salt, tree sap, and airborne contaminants, your vehicle’s finish is constantly under attack. Giving your car the Mint Smartwash experience on a regular basis helps prevent surface damage, and protects your investment. If that’s not enough of a reason to treat your beloved car or truck to the Ultimint treatment, who doesn’t like the fresh feeling of a newly washed car?